Discussion with political historian David Pietrusza about the Presidents and the changing political landscape. We cover how our political system was affected by the rise of radio, television, film, and connecting it to today's technological trends. - Teddy Roosevelt and Woodrow Wilson, Pre-1920 use of Phonographs. - Reality TV, Social Media, and targetted advertising in the age of Obama and Trump. Called one "of the best historians in the United States," "one of the great political historians of all time," and "the undisputed champion of chronicling American Presidential campaigns." David Pietrusza has produced a number of critically-acclaimed works concerning 20th century American history. 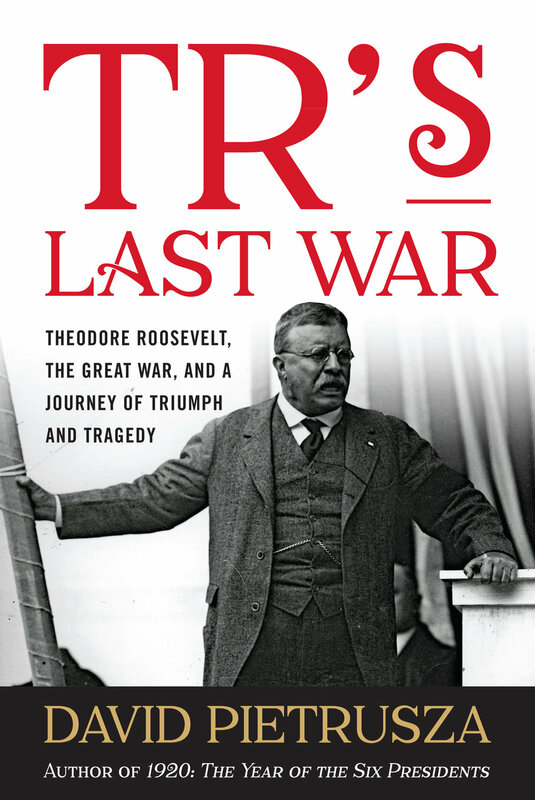 His "1932: The Rise of Hitler and FDR: Two Tales of Politics, Betrayal, and Unlikely Destiny" (starred review-Kirkus) won the Independent Publisher Silver Medal for World History. Pietrusza's "1920: The Year of the Six Presidents" was honored as a Kirkus "Best Books of 2007" title. Historian Richard Norton Smith has listed "1920: The Year of the Six Presidents" as being among the best studies of presidential campaigns. The Wall Street Journal rated "1920" as among the Five Best Books on Political Campaigns ("broad, fluid brush strokes . . . a brisk narrative"). “1920” was recently optioned for a six-part TV series by Charles Matthau, son of actor Walter Matthau. Pietrusza's biography of Arnold Rothstein entitled "Rothstein: The Life, Times & Murder of the Criminal Genius Who Fixed the 1919 World Series" was a finalist for the 2003 Edgar Award. Rothstein's audio version won an AUDIOFILE Earphones Award. Pietrusza's "Judge and Jury, his biography of baseball's first commissioner, Kenesaw Mountain Landis," received the 1998 CASEY Award and was also a Finalist for the 1998 Seymour Medal and nominated for the NASSH Book Award. Pietrusza collaborated with baseball legend Ted Williams on an autobiography called "Ted Williams: My Life in Pictures." He has been interviewed on NPR, MSNBC, C-SPAN (including "The Contenders" and "First Ladies: Influence & Image"), C-SPAN Book TV (including "In Depth"), C-SPAN American History TV, ESPN, the Fox News Channel, the History Channel ("The Ultimate Guide to the Presidents"), the American Heroes Channel ("Mafia's Greatest Hits"), the John Batchelor Show, the Hugh Hewitt Show, EBRU-TV, GBTV, the Voice of America, and Newsmax TV.